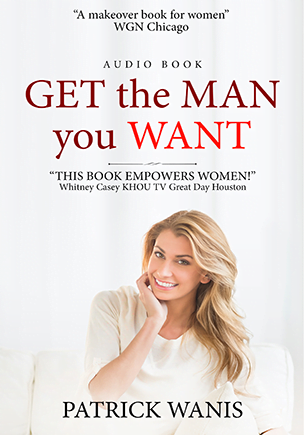 The Following Product is an MP3 Digital Download of the audio book version of “Get What You Want!”. 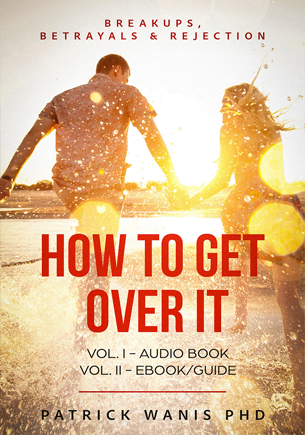 This audio book is also available as an eBook, by Patrick Wanis. Will you be stopped – or will nothing stop you? What do you want from life? Self-esteem, supreme confidence, more money, wealth, health, love, joy, better and more rewarding relationships, a better job, financial freedom, inner peace, the ability to overcome crippling habits, personal power. Have you ever wondered what is the difference between the haves and the have-nots, the successful people and the failures? Is it chance, luck, timing, favorable circumstances, contacts and connections, will power, advantages of birth, fate, destiny or some secret gift or power? What would you say if I were to tell you that you have the power to create your destiny and obtain anything you want, and that you have been already using this power to create your present circumstances and everything you have in your life? Maybe you have already heard it said that you are responsible for everything that happens in your life but has anyone ever taught you how to create what you want? What I am about to share with you in this book is the greatest and most powerful secret in existence. This secret and its associated techniques are the ones used by the most successful people in history. 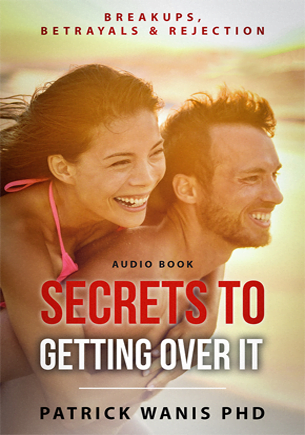 The techniques, revelations and information in this book are based on decades and decades of research into the mind, human behavior and the habits and strategies of the most successful people. It also draws upon the skills and principles behind hypnosis and Neuro-Linguistic Programming (used to change beliefs, behavior and results.) In this book I teach you the technique to master your mind and attract into your life everything you want. It doesn’t matter what your present situation is or how many times you might have failed in the past, with a simple technique that takes a matter of minutes of daily practice, you will transform your life and get what you want. Let’s begin first by identifying what you want. If you decide to get what you want, then you must first be clear about what you want. Fear is what holds us all back. When we can conquer fear, we can have whatever we want. Later in this book, I teach you how to conquer fear. To get what you want will require devotion, dedication and commitment to the practice of the technique I am about to share with you. Therefore, the single factor that will determine your commitment is your passion. In other words, the answer to why you want something is more important than the answer to how you will get it. Science tells us that everything in the universe is made up of atoms. And inside each atom are electromagnetic charges –protons, electrons and neutrons. And in groups, atoms form molecules. Therefore, everything is energy and is in constant vibration…. Calories are the measurement of the energy value of food, and science measures how much energy we burn when we are at rest and when we exercise. Our thoughts and beliefs are also energy. They attract similar energy and because everything is energy, our thoughts and beliefs impact the world around us. We often think of ourselves as victims, powerless over what happens to us, believing that life happens to us and we have nothing do with it. To our senses it appears that luck, fate, and chance determine what occurs in our life. Is that the truth? Are we separate from our lives? Do we have no control over what happens to us? And yes, the outer world does affect our inner world but the greatest news, the secret, is that our inner world also affects our outer world, what we experience and create in our life. My first insight into the power of the mind began when I was performing stage hypnosis shows. I witnessed amazing feats by my hypnotized volunteers. In an instant, they would change their physical state. With just a simple suggestion from me, hypnotized volunteers would be drunk, laugh uncontrollably or eat a raw onion without crying or cringing – I told them it was a peach. That was the key: their belief. By hypnotizing these people, I tapped directly into their subconscious mind, changed their beliefs for the duration of the show, and thus created a new reality for each one of them. I use the same process of hypnosis for clients who want to make permanent changes in their lives. Later, I this book I show you how to tap into your subconscious mind, change your inner world of thoughts and beliefs and get what you want. On May 6, 1954, Roger Bannister ran the first sub-four-minute mile in recorded history. From that day onwards, many people have run the four-minute-mile. Why? Because they believed they could. Norman Cousins was stricken with a crippling and life-threatening collagen disease. He made a miraculous recovery by…. Louise Hay is an author, teacher and speaker who cured herself of cancer. Louise says we create our reality based on our thoughts and beliefs about what we deserve. Louise had a tormented upbringing…. All of the above cases are examples of how the inner world affects the outer world, and how each person is able to change their outer world, their reality, by changing their inner world. …he wrote himself a check for $20 million. He dated it Thanksgiving 1995, and when Cable Guy was released in 1996, Carrey was paid $20 million for his role. How did Carrey manifest the money? Was it luck or coincidence? As you will see, Carrey tapped into the enormous power of the subconscious mind. In this section, I teach you how to take charge of your mind and reprogram it to get what you want. The human mind is primarily made up of the conscious and the subconscious. The conscious mind is your analytical ability or filter. The subconscious is the seat of emotions, controlling your heart, digestion, circulatory and nervous systems. The concept that your inner world of beliefs creates your outer world is not new. It has been around a very long time. Two thousand years ago, Jesus said: “And all things, whatsoever ye shall ask in prayer, believing, ye shall receive.” Put simply, whatever you ask and believe you will receive. How did we come about to plant the seeds and weeds that are in our garden? Was it chance? Now as an adult you can take deliberate control of what is planted in your garden. Now is the time to change your beliefs, seeds and weeds to get what you want. We can use the same technique that created our initial limiting beliefs to create our new desired empowering beliefs. Take your list of new intentions and beliefs and…. A detailed explanation of how to use the Creative Visualization Technique to create your reality and get what you want. A case study of a client who used these techniques and within a couple of months went from being a mechanic to landing his dream job traveling as a graphic artist for large-scale corporate shows. Later, I outline specific techniques to help conquer fear. Fear is the greatest killer of all human potential. Fear is what stops us from even trying to get what we want. Fear stands between us and everything we want out of life. Fear, though does not exist. …fear is always set in the future. We cannot experience fear in the present moment. If we were to listen to fear, we would never attempt anything in life. “You gain strength, courage and confidence by every experience in which you really stop to look fear in the face” (Eleanor Roosevelt). The power behind this technique is that you can use it get what you want in any area of your life. You can use it to improve your existing relationship or to get the love or ideal partner that you want. See also Wanis’ new hypnosis audio program “Feel Good About Yourself!” It works on releasing subconscious blocks to your goals and desires –be they ideal weight, money, health, love, joy or success. It reinforces at a very deep level that you deserve the best and you deserve to be happy, successful and be free to express yourself. It will also raise your self-esteem, confidence and self-worth and helps to remove subconscious motives and beliefs that lead to self-sabotage. Now that you understand that we create our own reality, that we are responsible for everything that happens to us, then you understand that money or the lack of it is not the problem, it is simply the symptom of another problem: your limiting, negative thoughts and beliefs. Your outer world is simply a reflection of your inner world. To change our results, we must change our thoughts. What do you believe about money? Is it easy to get or hard to come by? Is money the root of all evil? Can a spiritual person also be rich? Do you deserve to be rich and wealthy? To change your beliefs about money, you must first uncover what they are. I suggest the following exercise…. Based on your childhood experiences you subconsciously made associations, conclusions and generalizations about money, life, the world and what you deserve. Some simple exercises that to identify your associations with money. Now combine these four answers with the earlier exercise (what you saw, heard and experienced with money) and write a complete list of all of your beliefs about money and wealth. Now write out your five key beliefs regarding money. Take all the new positive, empowering beliefs and use them in your daily exercise. Many people, even those who are clear about they want, never get what they want out of life because they might be well aware of the secrets and techniques to getting what they want but fail to apply and practice them. These techniques are not philosophies. They are designed to be practiced -daily. If your desire is to get results, then practice them daily. Take small steps each day and become dedicated to the practice of these techniques to change your inner world and you will reap the rewards in the outer world. You will produce spectacular results in your life. Let nothing stop you from being, doing and having what you want. You are now clear about what you intend to create in your life and you now hold in your hands the secrets of how to make it your reality. 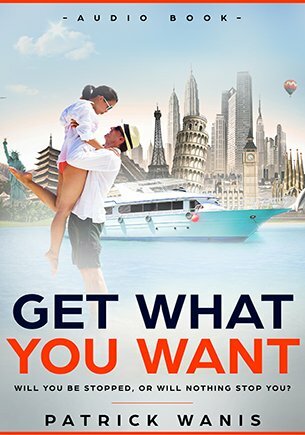 There is one final secret key ingredient to getting what you want, everything that you want. And this missing piece is the guarantee that you will also be able to fully enjoy the harvest of your garden, feeling deeply satisfied.